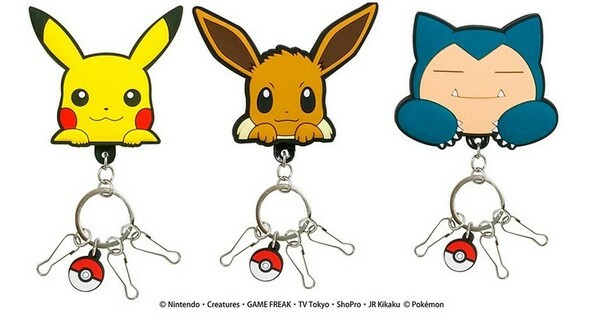 SK Japan has revealed a line of Pokemon Rubber Clip Keychains that are set to launch in Japan on April 25th, 2019. Each keychain will cost 780 yen, and the lineup includes Pikachu, Eevee, and Snorlax. Each Rubber Clip keychain comes with three clips.